Since it's March, it's time for green shakes and Saint Patrick's Day and it's looking like spring might come soon! (must get seedlings planted! 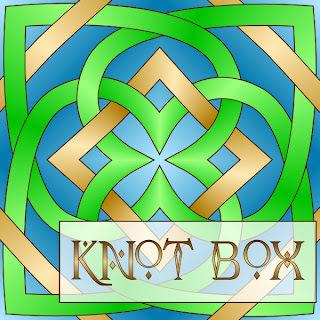 )- I hope you enjoy this knotwork printable box. There is also a blank version to color in. 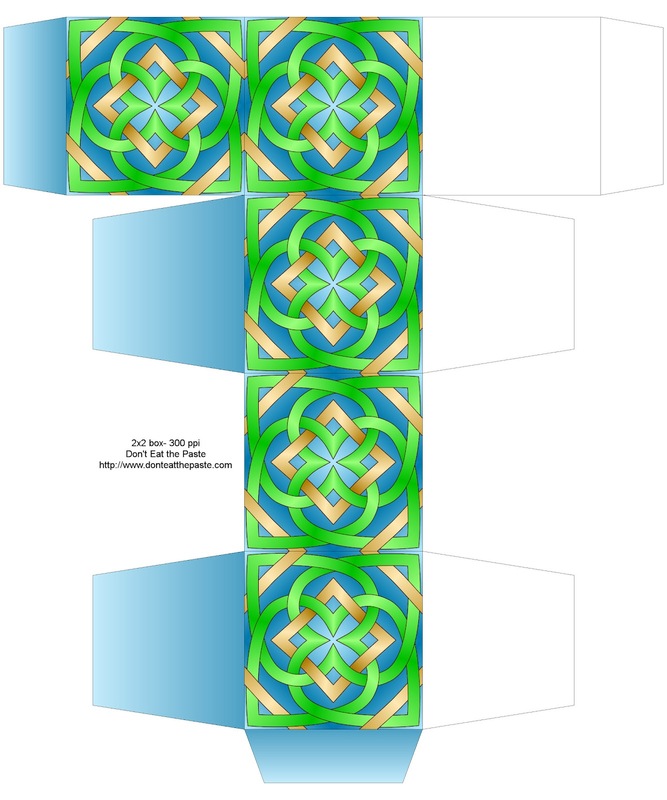 Print on card stock, score, fold, glue! Did you see my printable "No Pinches" paper wristband last year? Last Friday I sprained my wrist, so a lot of the projects that were planned to finish and write tutorials for, and a couple books that I was planning to review are on hold for a bit. It's doing a lot better now. Since I have been able to knit, I've been making super easy quick hats. Planning to count out the next one to post the pattern.